1. Remove rind from cheese and cut into cubes. 2. Place cheese in fondue dish. Heat until cheese has melted but not liguidy. 3. 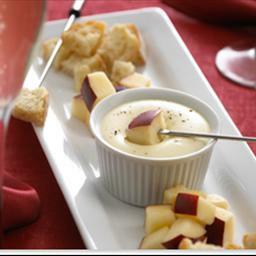 Serve apple slices to dip into cheese. You can use teared pieces of italian bread also.